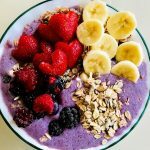 Home » Health » Healthy Lunchbox Ideas for Kids – Simple and Easy to Make! Ready to give your child the ultimate lunch experience? Before you even prep their lunch, let’s start with a colorful lunchbox! They are available in variety of sizes and styles from animals to superhero characters. Plus, you can even have it customized with their name. Your child will love taking it to school and showing it off to all their friends. Here are some ideas to get them all packed up for the day with a delicious and nutritious lunch! Organization is important when packing their lunch. Your child will love the vibrant colors of the food. A hearty lunch includes fruits, vegetables, protein, and fiber. Smaller portions of best. It can be difficult to be creative with food, but it doesn’t have to be. Starting with the basics, you can use small cookie cutters to cut shapes into cheese and fruit. For sandwiches, you can cut the pieces into bite-size to make it easier for your child to manage on their own. These easily fit into snack size sandwich bags or if you want something that can regularly be reused try a bento box. They have compartments that you can reconfigure to your preference. They come in a variety of sizes, some of which will fit inside of a standard lunchbox for additional organization. Keep in mind, if you are planning to pack hot foods, a special type of lunchbox is recommended. Try one that is well-insulated, or you can buy a thermos which will help keep the fool warm until lunchtime. The fresher the food the better. Taking the extra minutes to make them a homemade lunch which could be dinner from the night before versus a store-bought lunchable makes a huge difference. 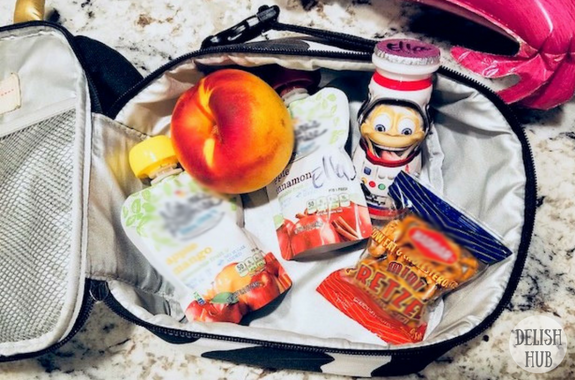 By taking these steps, it should be easier for you to pack their lunch without the added stress to your day. Feel free to add a little note for an extra touch! 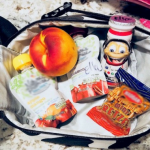 •Tagged healthy food, lunchbox, snacks•Leave a Comment on Healthy Lunchbox Ideas for Kids – Simple and Easy to Make!